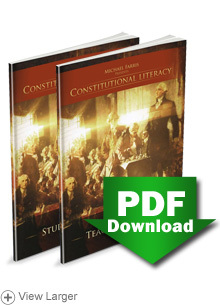 The Constitutional Literacy Student and Teacher Study Guide helps you get the most from the Constitutional Literacy with Michael Farris DVD series! Whether you are using the DVD series as part of your homeschool (teaching one or more students), with the whole family, or in a group class, use this study guide to review, discuss, and solidify the concepts taught. Comprehension and discussion questions are included for each episode. The Teacher's Study Guide provides the answers to the comprehension questions. NOTE: Once you have placed your order, you will receive two emails. The first will confirm your order. The second will contain the unique link to your download page. You will have approximately 72 hours to download your purchase, after which time the link will expire. From Anonymous of Franktown, Colorado on 10/2/2014 . From Anonymous of redding, California on 9/26/2014 . From Desiree Shaffer of Vernon Hill, Virginia on 3/9/2014 . From sonja fritz of mohave valley, Arizona on 9/10/2013 . From William Keith Mathison of Battle Ground, Washington on 3/28/2013 . From Alan Guddat of Minden, Nevada on 12/2/2012 . 2/12/2015 – I recently purchased the DVD set with workbook (2014 edition) for Constitutional Literacy. Do I need the teacher's & student . . .
7/2/2014 – Which is compatible with the 1st edition dvd set, the Teacher and Student Study Guides from 2012, or the new workbook from . 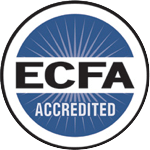 . .
6/4/2014 – Two questions: would this be considered a one semester or full year high school credit? Do you need the dvd, study guide . . .
9/12/2012 – Are you expecting to have this study guide available in hard copy in the future?